I am SO excited for Fall!!! I love everything about it…the chill in the air, the leaves changing color, the fuzzy clothing, and the yummy warm drinks!! So in order to get myself in the “Fall” mood I decided to pick up some Autumn decor for my place…and what better place to pick up a few items than the Dollar Tree! Now I hadn’t been in a Dollar Tree in years so I didn’t think that I would find much, but boy was I wrong!! Check out my rather large haul!! 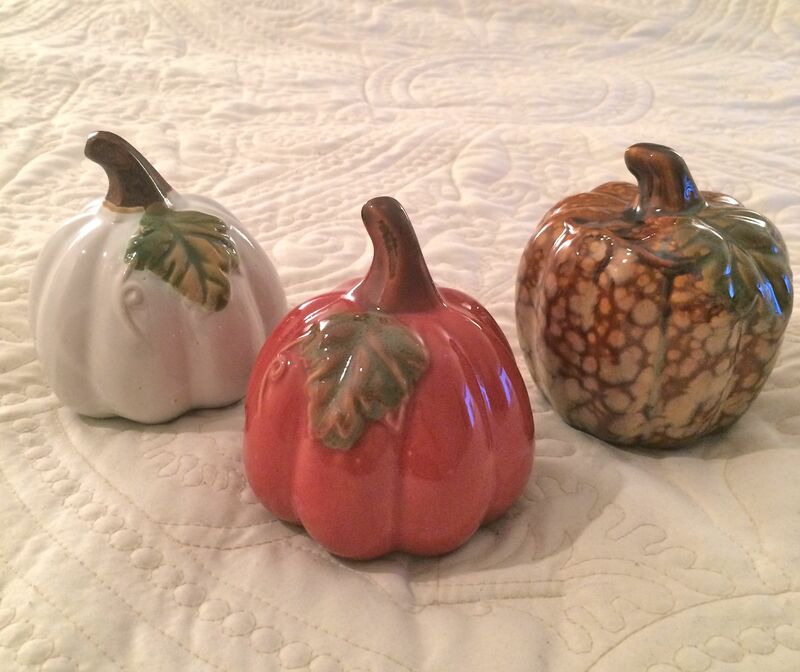 I can’t believe these little ceramic pumpkins were only a dollar! So naturally I thought it would be best if I grabbed one in every color they had! 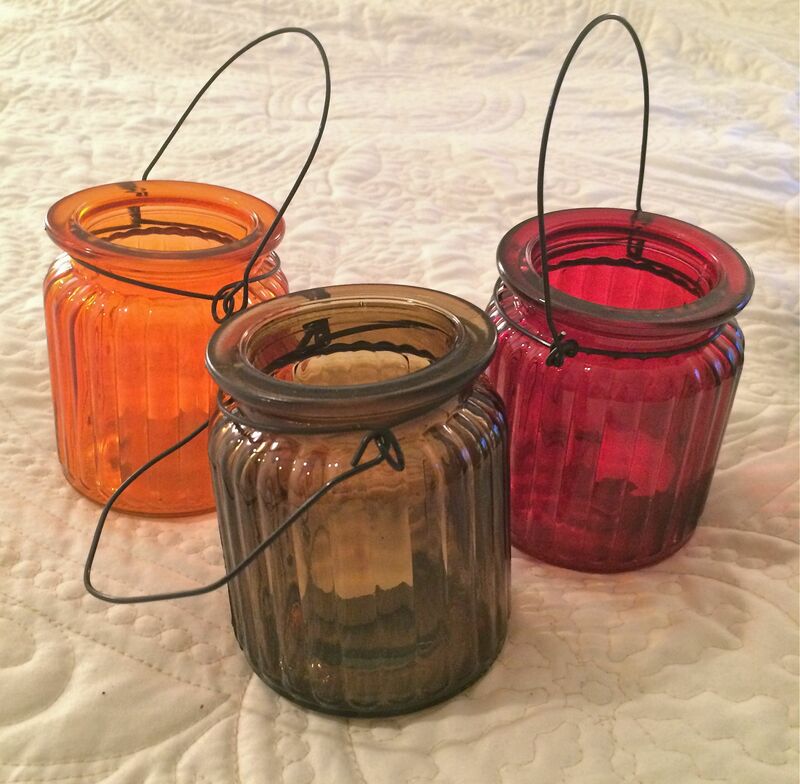 And how adorable are these little glass lanterns? I thought they would be so pretty at night with a burning tea light on my window sill. 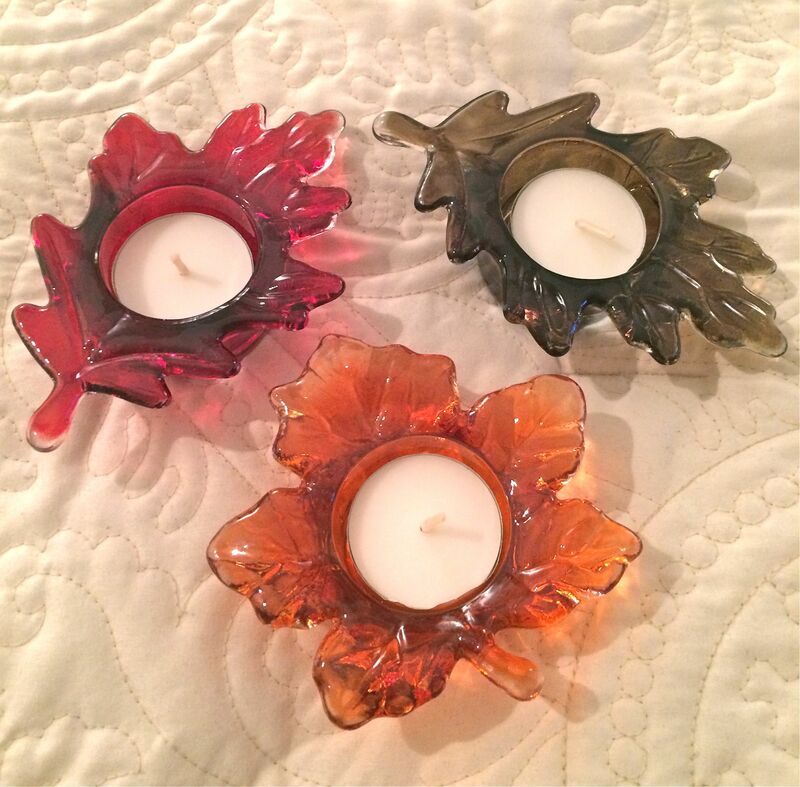 And I thought these Fall leaf tea light holders were too cute! I believe there was also a clear leaf version as well, but I decided to stick with all of the Fall colors instead. 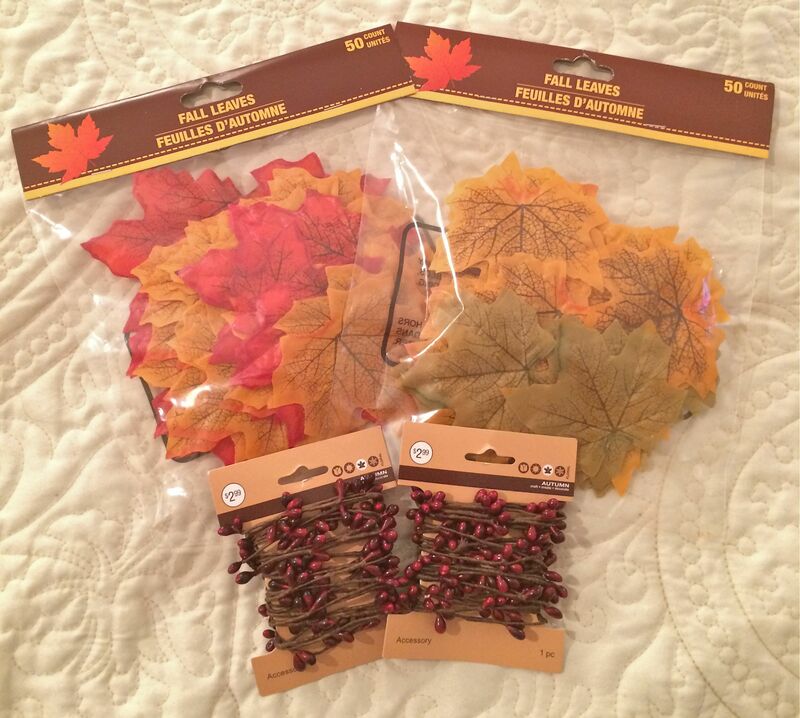 I also picked up two bags (50 count each) of Fall silk leaves to spread around my place. I thought they would look great on our little end tables, shelves and counters. And lastly, I picked up the currant garland on a recent outing to Joann Fabrics. I am planning on placing the garland around some bookshelves! I can’t wait to start decorating tomorrow! 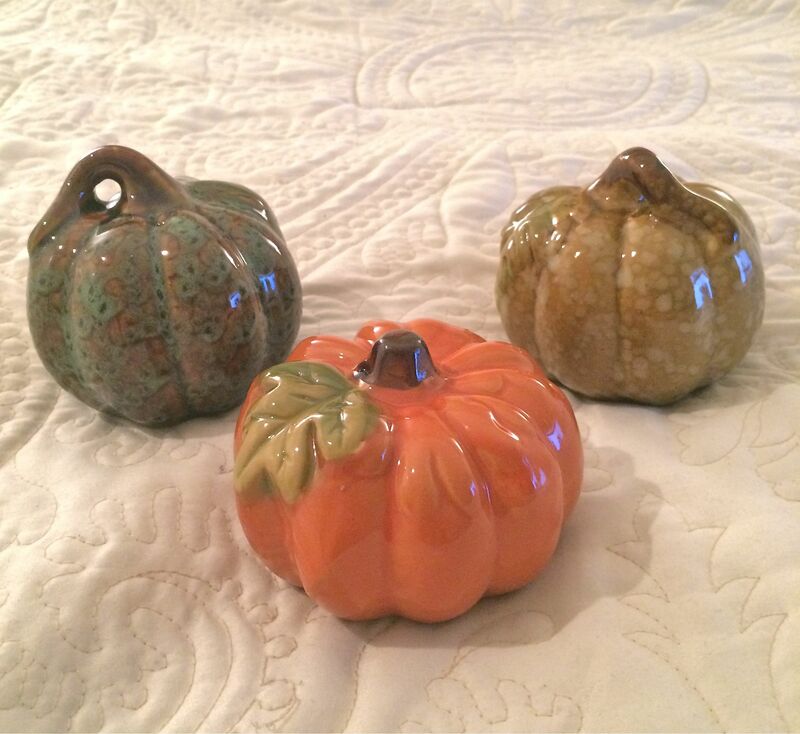 I hope you enjoyed this haul and perhaps are a little inspired to make your home a little more Fall like!